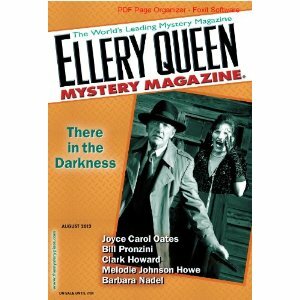 It’s a good day when you get a story accepted, and a GREAT DAY when you are a mystery writer and your mystery story is accepted by Ellery Queen Mystery Magazine (EQMM). And today was a GREAT DAY for me. The story will appear in a future EQMM issue and potentially online. When I get details of the publication date, I’ll share it here. Stephen King calls EQMM the “world’s best mystery magazine” and the magazine and its stories have won many, many prizes. I am so honored and awed to have a story of mine picked up by EQMM. And yes bragging but I’ve EARNED it today. My accepted short story concerns a very bad day for Arvo Thorson, the detective in my mystery series. He’s riled up (with good reason) and needs to act. But will he? If you know Arvo, you know he has issues that get in the way of his doing what he needs to do. If you don’t know him, well then check him out! The story is set in his mother’s hometown of Tofte, Minnesota, a Lake Superior burg northeast of Duluth. Who knows, I may yet write the rest of that one-off story (titled “Boys will be Boys”) into a novel. Check out EQMM and think of subscribing (available in print and for reading devices) or picking up a single issue (available at bookstores), especially if you love mysteries in bite-sized pieces – you might find a new mystery writer you want to check out. OR just be lined up to read my story when it appears in the magazine. This entry was posted in Uncategorized and tagged ellery queen mystery magazine, fiction, mystery, short story, Stephen King, win, writing. Bookmark the permalink.